... in three easy steps! E-cards make great gifts and for my daughter's last birthday a dear friend sent her one via my email address. It is always so sweet when friends and family from afar remember my kids on their birthdays. For that reason, I wanted the e-card pack the same punch as the the prettily wrapped presents purchased here in town. My solution? 1. 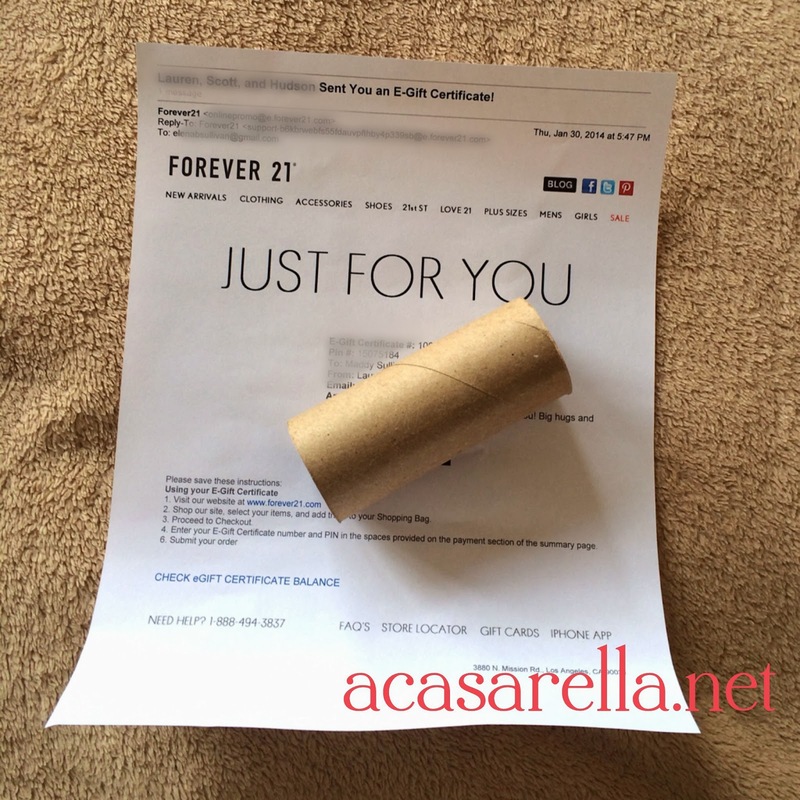 I printed out the e-card. 2. I rolled it up and inserted it in a tissue tube. 3. I wrapped it with tissue paper and twine. What a lovely effort to go to, making an ordinary e-card a pretty and exciting package.